Only a few spaces left….The last chance to deliver your matchbox before our San Francisco Time Capsules heads with us towards Australia! Please come say farewell and view our San Francisco Time Capsule before we commence sharing it across the globe. 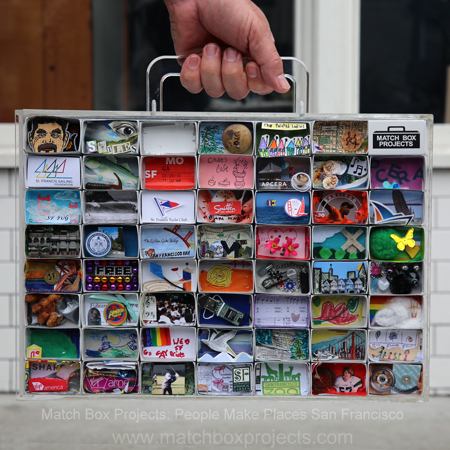 Please ensure to read invitation instructions HERE before delivering your matchbox works for People Make Places San Francisco. 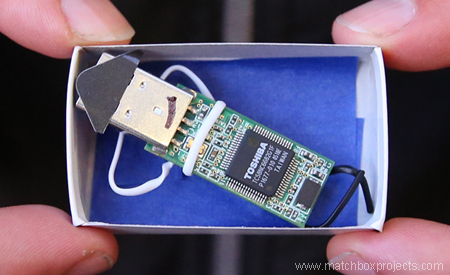 Andrew has turned a very old low capacity thumbdrive into a little person wearing a little hat and impish grin, reclining. This is to capture the impact of technology that is a huge part of the city�s culture and life right now, as well as its whimsy - its deep commitment to fun and creative events and oddity. 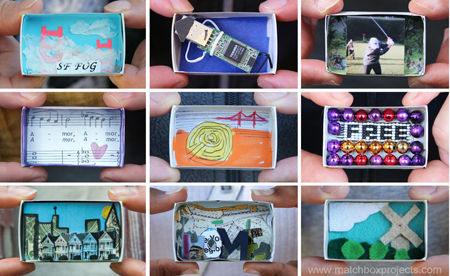 Pick up a matchbox to join the journey or join us and fellow local residents, workers and students in San Francisco to share your matchbox creations before they enter our People Make Places San Francisco Time Capsule. Friends are welcome to pick up a matchbox from these rendezvous or prepare something to place in one when we meet. We will be popping up all over, from Golden Gate Park, The Embarcadero, The Presidio and Dolores Park, to Pier 39 and more. Contact us to be informed of exact locations or to make arrangements to pick up or deliver your matchbox at an alternative time. Two elements Jonathon sees every day from his apartment are The Castro rainbow flag - for inclusiveness and tolerance, and Sutro tower - a 3 sided radio tower very well visible in San Francisco often shrouded by fog. Fog has been termed by San Franciscans as Karl the Fog�. From around 5.30pm we will be in the Mission district to collect matchboxes and enjoy some music. 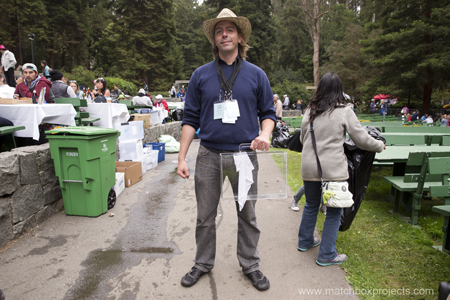 Joe (pictured) who we encountered on the weekend whilst he was working at the Stern Grove Festival is one of our new matchbox family members. He is playing in a band during happy hour from 6-7.30pm at Amnesia’s Jazz, Rhythm and Blues Night. Please join us! Cover is free. Contact us to see where we will be collecting matchboxes nearby before and/or after. (or during if need be). No 2 piano is quite near the Main Gate entrance to the Botanical Gardens on 9th ave near Lincoln Way. 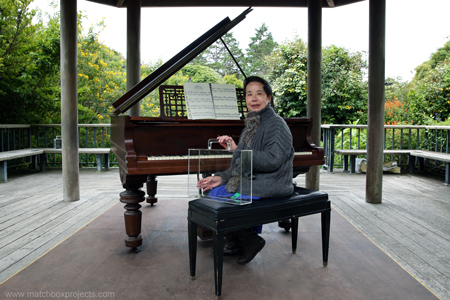 Join us to hear one of our matchbox collaborators who we encountered today play the piano at the 2nd Piano. 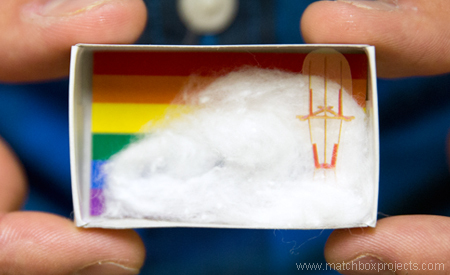 Pick up a matchbox, create one on the spot or deliver one you have already made at the same time. San Francisco Residents: Always free. Show them your ID at the front gate or a bill with your name on it to a residential address in San Francisco and you have free entry every day. They do suggest a $2 donation - definitely worth it and highly recommended! We can be contacted on 646-512-0530 or via matchboxprojects[at]gmail.com. But we do not know whether there will be good reception whilst in the park! After you spend time with us in the park, we recommend you stay and enjoy the amazing Flower Piano events happening within the gardens. 12 days, 12 pianos until 18 July! Thanks New York for sharing your city with us. For those yet to deliver their matchboxes, meet Naomi between now and Monday. Join her at one of our rendezvous below, or contact her to arrange an alternative time to meet between now and 12.30 on Monday. Lafayette St near Spring St.